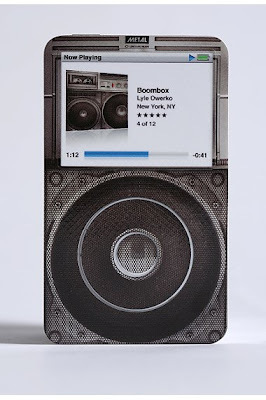 The Boombox Project "Skins" are now available at Urban Outfitters. Congrats, Lyle. You need to now create a live project where people bring the old skool boxes on to subways and blast them in the face of annoying ipod volume 10 riders. Good luck with the skins.